The fact is, many of us rely on creating to express our emotions. All of us on are especially familiar with this process. Creating to express our emotions in any form has potential to be a healthy and life-giving experience. We can use art and creative writing as a means to turn our negative feelings into a reckoning for positivity. Here are some thoughts about negative experiences and how we can write them into a corner when they try to bully us. Our culture glorifies the idea of holding in your emotions. Men are often called weak for being expressive, and women are called crazy for expressing their emotions in any way. Neither of these is fair, as emotions are simply a part of the human experience, and there’s nothing weak about admitting to what you feel. Here’s the fact: suicide rates are on the rise. According to the National Center for Health Statistics, the suicide rate in the United States increased 24 percent from 1999 to 2014. The amount of adolescents — and we are talking early adolescents — that contemplate ending their lives or do end their lives as a result of cyberbullying has increased as well. In a recent UK study, 26 percent of respondents had suicidal thoughts, as a result of cyberbullying. We have to normalize emotions and offer people practical ways to handle their trials in life. Even social work professionals admit we need to start thinking out of the box. I propose one of the best outlets for pain is through creative writing. There is something so satisfying about forming the perfect sentence to describe what you’re going through. As long as you’re doing it for you and not to impress others, I think being able to work hard on this transfer from mind to paper is therapeutic. By writing about your negative experiences, you can process them, and learn from them. If you’re comfortable with it — share and relate it to others. 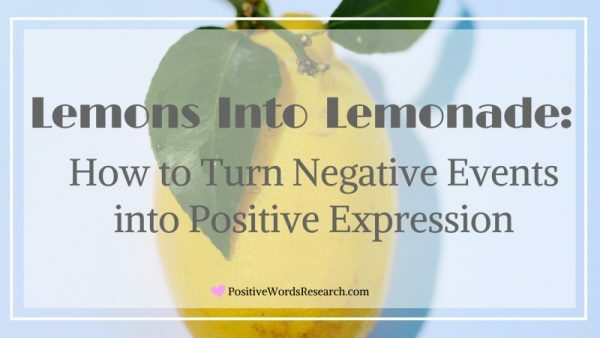 Here are some suggestions to turn your negative experiences into lemonade, through the power of writing. Poetry, lyric writing, and the like are the best places to employ your artistic license, due to the common “show don’t tell" mentality that’s so popularized in these communities. I personally find it useful to use poetry prompts in order to challenge yourself. The point of doing these exercises is to force you to write down your thoughts in a different way than just “I feel sad" or “I am angry." You also are usually writing less — but it’s harder to get a good flow going. It’s a new form of expression for a lot of freelance writers and similar creatives and can influence your other writings as well. This is something I struggled with originally due to my past writing song lyrics with metaphors. I had to drop all of that — which I now consider being mostly fluff — and switch to describing the actual scenes around me. Descriptive nonfiction lives in “show don’t tell," more strictly than poetry does. Retell your story. Use color, shape, and other physical descriptions. How red was your face from embarrassment or hurt? What were other people doing? How they moved, their facial expressions, and how did their face change and move as well? What words were they using? Of course, “show don’t tell" can also make for a traumatic retelling of a hard time, so gauge yourself and see if you can handle it first. Years ago, during one of my first breakups, I found myself writing letters late before bed. These letters were addressed to me, oddly enough. I never called it journaling or felt like I was writing a diary. I was very clearly writing a letter. Even though I was the recipient of these letters. Physically writing my thoughts down on paper felt like I was transferring my emotions — like they were physically leaving my body. This was one of my initial experiences with the therapeutic effects of writing, and since then I’ve used writing to help myself through other breakups, loss of friends and family, and stressful life events. It has been said that “bad writing is good for you," and this may certainly be the case in your situation. Freewriting offers the comfort of no restrictions – just straight up word vomit until you need to eat again. Some find this to be a positive and freeing experience. It offers them a way to put some elbow grease into releasing their emotions, but they don’t have to worry about anything else. This isn’t typically the writing you show people, but certainly, you can if you would like. It’s your lemonade. Use weird prompts and exercises — and by “weird" I mean unusual to you — to stretch your writing and give you new ways to express yourself. The thing with writing prompts is that they work like writing games. You have to use them to finish a piece based on rules and restrictions you don’t typically adhere to. Some of the most satisfying pieces of writing I’ve done have been based on odd prompts, and it always feels like a new way to express my thoughts, feelings, and beliefs. As I mentioned earlier, we need to normalize negative emotions. Make them something to talk about, and make it usual to talk about them. Let’s innovate a bit and give struggling people healthy and positive ways to handle their pain. We must live by example first, because telling people to talk about their issues doesn’t shut out the voices — external or internal — that make them feel uncomfortable doing so. Being encouraging and transparent, ourselves, can do that. Now, how much more as a writer can we share our experiences tangibly, especially with other writers? We all struggle with life, so writing them down for others may actually give them something to lean on, and maybe vice versa. Make your own lemonade from life’s hardships. With that in mind, let’s strive for honesty and humility with each other, so we can destigmatize depression, formulate it into something positive, be it through writing or whatever other form of creation you choose, and gain something from it rather than lose everything to it. How have you used writing or creativity to cope with bad experiences? Let me know in the comments below! Avery T. Phillips is a freelance human being with too much to say. She loves nature and examining human interactions with the world. Comment or tweet her @a_taylorian with any questions or suggestions. Avery lives in the United States. Here at Positive Words Research, we are looking to share with our readers original content that hasn’t been published on other sites so if you are comfortable with Positive Words Research being your sole publisher, we are more than happy to share with our readers your inspiring and empowering story. Find here a list of negative feelings and negative emotions that start with every letter of the alphabet. The negative emotions are arranged from A to Z, in alphabetical order. 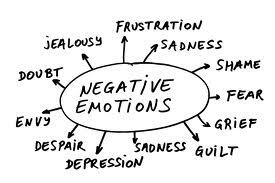 Negative emotions are described as any feeling which causes you to be miserable and sad. These emotions make you dislike yourself, other and life in general. They take away your confidence and make your mind unclear. On longer periods the negative emotions can even make your body sick. Emotions that can become negative are hate, anger, jealousy and sadness. Yet, in the right context, and on short periods of time, these feelings are completely natural. Here are some of the most important negative emotions, but if you want a larger range of negative emotions, check the list of negative words. Negative feelings and emotions starting with A letter: A Sense Of Loss, Abominable, Aching, Afflicted, Afraid, Aggressive, Agonized, Alarmed, Alienated, Alone, Angry, Anguish, Annoyed, Anxious, Appalled, Ashamed, Abnormal. Negative feelings and emotions starting with B letter: Bad, Bitter, Boiling, Bored, Betrayed. Negative feelings and emotions starting with C letter: Cold, Cowardly, Cross, Crushed, Complaining, Cheated, Confused, Crappy. Negative feelings and emotions starting with D letter: Dejected, Depressed, Deprived, Desolate, Despair, Desperate, Despicable, Detestable, Diminished, Disappointed, Discouraged, Disgusting, Disillusioned, Disinterested, Dismayed, Dissatisfied, Distressed, Distrustful, Dominated, Doubtful, Doubtful, Dull. Negative feelings and emotions starting with E letter: Embarrassed, Empty, Enraged, Evil, Excluded, Exiled. Negative feelings and emotions starting with F letter: Fatigued, Fearful, Forced, Frightened, Frustrated, Fuming. Negative feelings and emotions starting with G letter: Grief, Grieved, Guilty. Negative feelings and emotions starting with H letter: Hateful, Heartbroken, Helpless, Hesitant, Hesitant, Hostile, Humiliated, Hurt. Negative feelings and emotions starting with I letter: In A Stew, In Despair, Incapable, Incensed, Indecisive, Indifferent, Indignant, Inferior, Inflamed, Infuriated, Injured, Insensitive, Insulting, Irritated. Negative feelings and emotions starting with L letter: Lifeless, Lonely, Lost, Lousy, Liar, Lame, Livid. Negative feelings and emotions starting with M letter: Menaced, Miserable, Misgiving, Mournful, Misunderstood, Manipulated. Negative feelings and emotions starting with N letter: Nervous, Neutral, Nonchalant, Negated. Negative feelings and emotions starting with O letter: Offended, Offensive, Objected, Overwhelmed, Obstructed. Negative feelings and emotions starting with P letter: Pained, Pained, Panic, Paralyzed, Pathetic, Perplexed, Pessimistic, Pessimistic, Powerless, Preoccupied, Provoked. Negative feelings and emotions starting with Q letter: Quaking, Questioned. Negative feelings and emotions starting with R letter: Rejected, Repugnant, Resentful, Reserved, Restless. Negative feelings and emotions starting with S letter: Sad, Scared, Shaky, Shy, Skeptical, Sore, Sorrowful, Stupefied, Sulky, Suspicious. Negative feelings and emotions starting with T letter: Tearful, Tense, Terrible, Terrified, Threatened, Timid, Tormented, Tortured, Tragic. Negative feelings and emotions starting with U letter: Unbelieving, Uncertain, Uneasy, Unhappy, Unpleasant, Unsure, Upset, Useless, Unloved, Unimportant, Unconnected. Negative feelings and emotions starting with V letter: Victimized. Negative feelings and emotions starting with W letter: Worthless, Worthiness, Wary, Weary, Woeful, Worked Up, Worried, Wronged. If you are looking for more negative words check out the list of negative words that start with letters from A to Z in alphabetical order. After going through this list, check out also our amazing list of positive words. Find below the list of negative words that start with letters from A to Z in alphabetical order and in English. These negative words represent the negative vocabulary of someone, negative words to describe someone, negative feelings, and negative emotions. If you are searching for positive words we recommend this list of positive words.